We've decided that we will take half of every dollar we receive (after BandCamp's cut) and help fight poverty in the developing world. We've joined up at Zidisha, a company that helps connect us with people in the developing world in need of capital, and lets us provide them small loans with really low interests rates (5%), especially for their parts of the world. The more you pay for our music, the more lending power we will have to either help with larger and larger projects, or help more people. When our loans are repaid, we are going to turn that money around and loan it out again. We will be charging no interest in our loans. The 5% interest is a fee that Zidisha charges the borrower, and is extremely low for these types of loans. We thought about using Kiva, a larger and more popular service, but their interest rates can be 5-20 times as high. There are a number of options for microloans out there if you are interested, each with their own models and specializations. If Zidisha does not seem right for you, we'd suggest you look at some of the other services. You can find a few names here to get you started. If you are interested in joining us at Zidisha, you can sign up and join our lending group here. 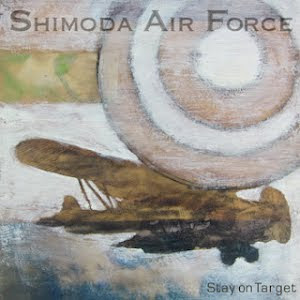 All music and content copyright © Shimoda Air Force 2011. Powered by Blogger.